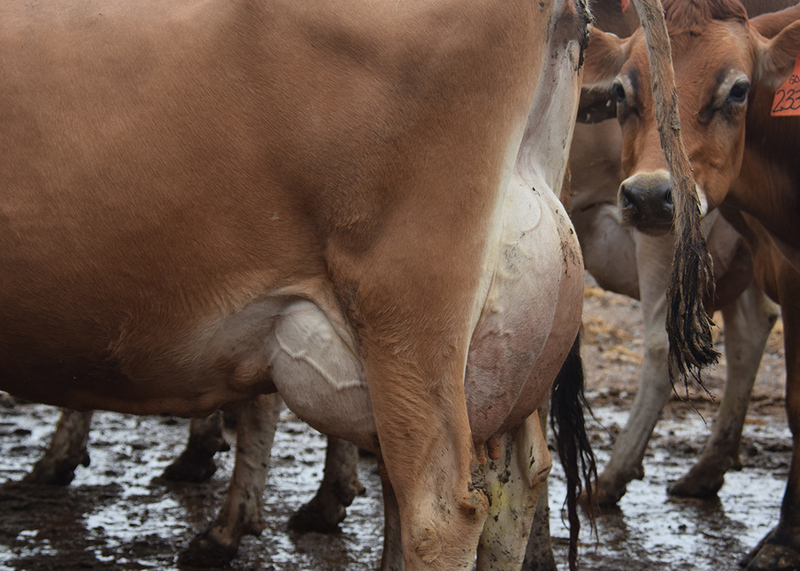 Gaby Jersey Farm will be dispersing their milking and bred heifer inventory on THURSDAY, DECEMBER 15 at 10:00 a.m. (EDT) at the farm in Greeneville, Tenn. This is a herd known for their deep pedigrees, great production and genomic potential. Several females and males have been bred from this herd, making an impact on the breed. Almost ALL cattle have been tattooed as Official Calfhood Vaccinates. More pictures will be added throughout the day, but some of the milking herd was caught on camera yesterday afternoon after vet check. Some cattle will have hobbles on in their pictures. Please note that this is a safety precaution at the Gaby Farm, due to their facilities. This, in NO WAY, means that the cattle sporting the extra apparel are unable to move freely.